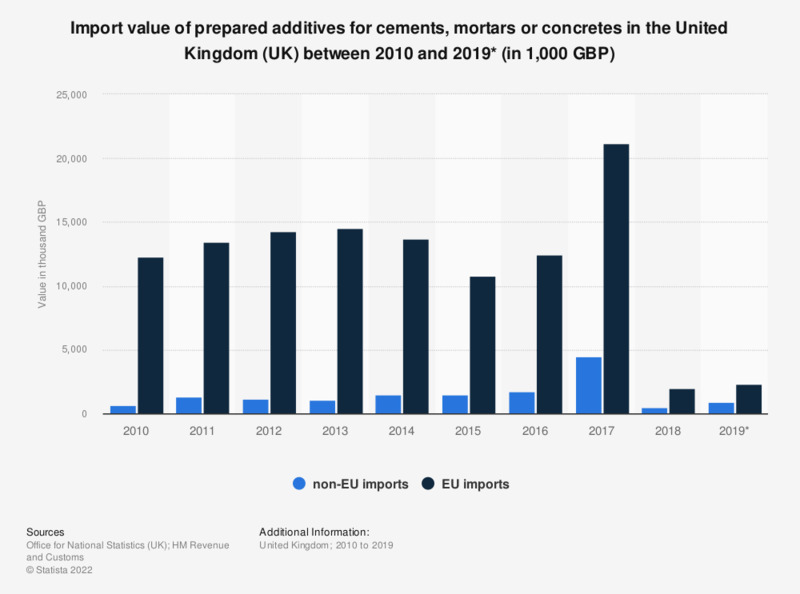 This statistic shows the value from EU and non-EU imports of prepared additives for cements, mortars or concretes in the United Kingdom between 2010 and 2017. The EU was clearly an important trade partner for the United Kingdom over this period. EU imports of prepared additives reached a value of 14.3 million British pounds in 2012.